Keith was born November 27, 1942 in Vancouver, BC. He grew up in Brandon and Winnipeg, MB. He attended the University of Manitoba and attained a degree in Architecture. Keith and Pat`s paths crossed at the University of Manitoba as she attended Fine Arts. They married in 1969. 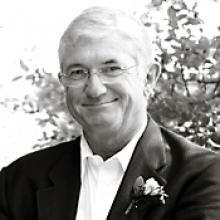 Keith began his career at Moody Moore architecture firm where he met his future business partner, Arnie Cooper. Shortly after, they began their own company, Cooper Rankin Architects. Keith's architectural designs can be seen in Winnipeg, Edmonton and Calgary, and in places in the United States, mainly Florida. Projects included many beautiful cottages on Lake of the Woods, museums, malls, schools, commercial buildings, apartment buildings and houses.